Why settle for just a zip-line tour? 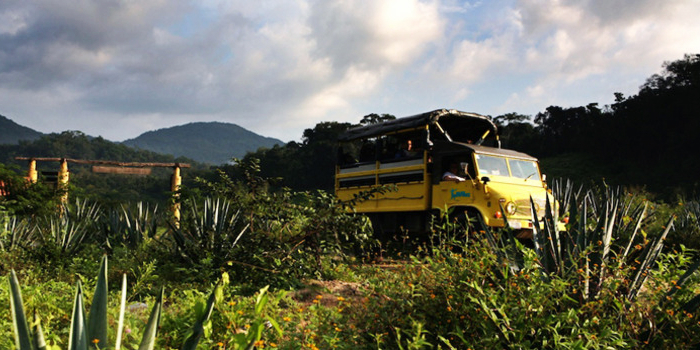 This fantastic outdoor combination adventure not only includes zip-lining, but also a jet boat outing, an off-road excursion on a Unimog, and mule ride up winding a mountain trail. The trip to our thrilling canopy adventure course, complete with multiple zip-lines, climbing towers, and rappelling lines, is a tour unto itself. Our bilingual staff will convey you from one of our designated departure areas around Puerto Vallarta in our air-conditioned coach. Enjoy a thrill-a-minute ride in a speedboat across serene waters of Banderas Bay to our destination at the charming coastal village of Boca de Tomatlan. From this pleasant bay-side town you’ll climb into the back of a Unimog 4x4 truck for an off-road expedition through the back country into the Sierra Madre foothills. You will venture into the verdant jungle inland where you can see a vibrant assortment of indigenous plant and animal life. This part of the adventure is sightseeing tour of the natural marvels in this area. You will be transported from sea level beside Banderas Bay to an elevation of 2,000 feet. The tour will eventually run out of roadway, at which point you will step out of the truck to use a more old-fashioned way to travel – by mule-back. 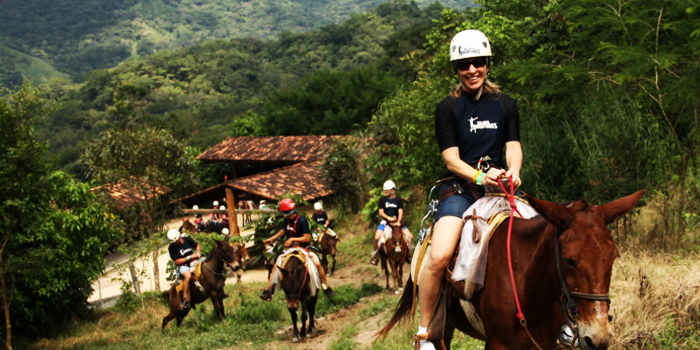 These well-trained pack animals will carry tour participants along a twisting mountain path to the zip-line course. The heart-pumping excitement of riding down a high-tension steel cable at speeds of thirty miles-an-hour will be the highlight of your vacation. You will be harnessed into our state-of-the-art safety equipment before zooming far over the forest canopy on a series of cables above the valley below. 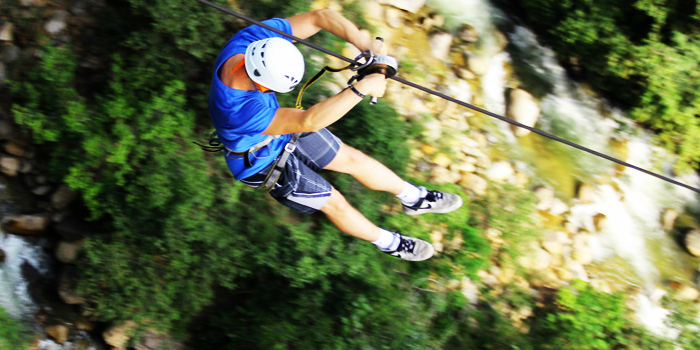 The most exciting zip-line ride travels 1,000 feet and descends over 250 feet. 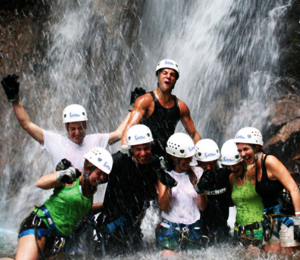 Do not miss your opportunity to enjoy the most thrilling experience available in Puerto Vallarta. 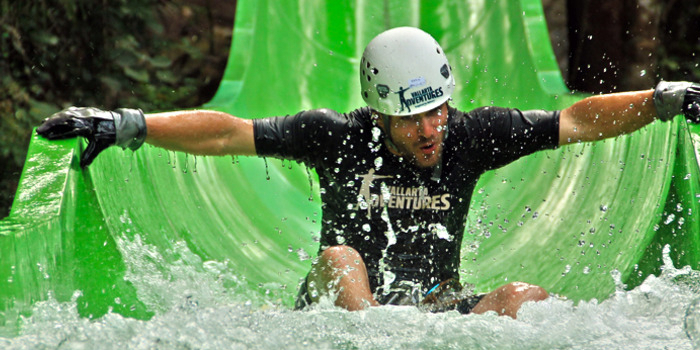 I have been to the Bahamas many times, but Vallarta Outdoor Adventure is one of my favorite trips! It includes everything that everyone should do here. As a Bahamas veteran, I can say only the best about this experience!